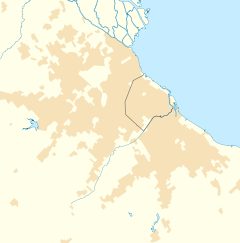 Florencio Varela is a ceety in Buenos Aires Province, Argentinae. It is the heid toun o the Florencio Varela Partido. It forms pairt o the Greater Buenos Aires urban agglomeration. The dounset wis offeecially foondit on 30 Januar 1891 bi Juan de la Cruz Contreras. It is namit efter Argentine writer an jurnalist Florencio Varela (23 Februar 1807 - 20 Mairch 1848). Grunds o the Schönstatt Catholic Order. This page wis last eeditit on 11 Mairch 2018, at 10:05.